to get you started in recording ? Years ago if you wanted to make a record that sounded as good as the stuff you listened to and get a record deal you'd either need a big record contract or a lot of money burning a very sizeable hole in your pocket. Today, however, as both equipment prices tumble and quality increases, almost anyone, if they're prepared to invest a bit of time and effort, can make a vaguely professional sounding record in the comfort of their own bedroom. I was thinking of getting a record deal. Even I did it about three years ago when I completed an album called (rather predictably) 'Bedroom' which I recorded using a cheap four track, a Korg keyboard and a drum machine that I couldn't programme very well. I got a record deal and it came out on a small indie label and while it wasn't exactly the Sgt Pepper's of the 90's it did OK and got a bit of radio play and made me look big and tough for about three minutes. I even got to do a couple of TV scores off the back of the recording deal while I was still using a load of equipment that you could now probably pick up for under £750 second hand. So I guess in theory I'm supposed to know a bit about this. If you want to get started, the first thing you have to work out is how much money you want to spend and what kind of music you want to be making. You don't have to get a state-of-the-art set up to get good results; someone with a home computer and a £50 keyboard could just as easily create a hit as a band in a huge recording studio. In fact, it's often better to limit yourself when you start because you'll not only be forced into creating something more individual and unique (rather than just trying to copy your favourite group of the moment) but you'll also learn how to use your gear a lot better. Dec: There have been many 'quirky' hits through the years and by limiting the gear you most probably will produce a 'quirky' hit ... off the wall, and different! As there is no one correct way to creating music and getting that elusive record deal or setting up your own studio [see the articles on studio set-up at www.makehits.co.uk/artintro.htm] this is not going to be a step-by-step guide to making a record. However it should give you a good idea of what you can do and how to achieve what you want. In rather simplistic terms this gives advice on products that make noises. It's a bit of a chicken and egg situation but hopefully it'll make some sense and partly help you on your way to making a record from the confines of your own home. The first thing you really need to get is something that you can make music with; although this can be anything from an electric guitar to a kazoo and microphone, most opt for a MIDI keyboard of some sort because they're easy to use and can be made to control any other MIDI devices you may want to get in the future. When I started I didn't really have a clue what I needed so I just went and bought a big synthesizer because it made lots of cool noises. I quickly learnt that when talking to your local long-haired music shop assistant there is a slight difference between the terms keyboards and synthesizers. Generally a keyboard is loaded up with lots of 'real instrument' sounds like violins, pianos and guitars which personally I always think sound horrendous. Synthesizers on the other hand are usually full of sounds that are not only more unusual (and thus more suitable for making electronic/dance music) but ones that you can have a bit of control over. This means that rather than be stuck with a set number of presets you can alter the sounds to your own specification, changing everything from the attack (which determines how fast the noise begins) to LFO speed (makes things sound more 'wobbly'). In the past these kind of things were the preserve solely of men with big beards but now, as it's pretty accessible to everyone who aspires to having a shot at getting a record deal, I always recommend buying a synth because you'll not only get more out of it in the long run but you'll also be able to produce a more unique sound. However, if you're one of those people who wants to 'recreate an orchestra in your living room' then a keyboard will probably do the trick. If you're planning to use the machine to play back a lot of different sequenced patterns it's probably wise to also check that you're getting one with both polyphonic (can play more than one note simultaneously) and multi-timbral (can play more than one sound simultaneously) capability. 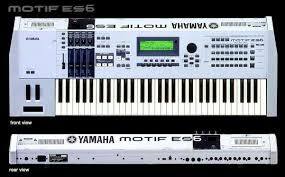 There are so many different types of synthesizers and keyboards that it's impossible to single out any particular models. [but I will....Dec!] Some people prefer analogue models because are very 'hands-on' and supposedly have a more characteristic sound but on the downside they are notoriously unreliable and often go out of tune. Digital machines will integrate into a home MIDI set-up easier and often have more programming and memory features but are often accused of sounding 'sterile'. [not any more! Dec] Prices can range from £50 second hand to £3000 new. You should be able to get an excellent synth for around £600. The introduction of relatively low-priced samplers in the late 1980's effectively revolutionized the entire process of music making; their impact in the past decade has been so immense that it's unlikely that you'll hear any modern record that hasn't used a sampler in at least part of it's production. Although once dismissed as substitutes for talent (not helped by the unimaginative use of sampling by the likes of Jive Bunny and countless toytown techno acts) most have begun to realise that the machines are an invaluable tool to any modern musician serious about a recording contract. Samplers work by allowing you to record, manipulate and then replay sounds through a triggering device such as a MIDI keyboard. Although this makes the operation seem rather basic the options available to you are boundless: you can do everything from chopping up and looping live drum beats (the most common use) to taking any recorded sound and by altering it's speed (and thus it's pitch) turn it into a musical instrument. Recent developments such as timestretching (which alters either the timeframe of the sample without affecting the pitch and vice versa) means that there's now a lot more scope to sample manipulation, bolstered by the introduction of powerful software tools like Steinberg's ReCycle, allowing you to create sounds and effects previously thought impossible. It makes the whole recording process so much easier. Dec: Have you ever noticed how old fashioned drum kit Toms sound in your productions? Just simply replacing the tom fills with carefully chosen 'noise' samples brings your production right up to Top Three quality ...simple? While the most common route for obtaining samples tends to be off other people's records they can actually be taken from any sound source at all - the more imaginative you are the more unique your results are likely to be. And if you don't either have the time, or the record collection, to find the sounds you want then there are even companies such as Time + Space [see link at end] who specialise in providing a huge selection of CDs full of live instrument sounds and solo drum beats purely for the use of sampling in recording. Although to some people there are still certain moral and ethical problems using samplers for recording, you're really going to have to get one if you're planning on making any kind of dance music; in fact without them many modern genres such as hip-hop or drum'n'bass probably couldn't even exist. Invaluable. To be serious about a record deal you simply have to cast your objections aside. Playback only machines such as the Akai SO1 won't actually allow you to sample your own sounds for recording purposes but offer professional results at a very low price. The more memory you have the more sample time you'll have available and a greater number of outputs allow you to seperate different samples and apply external effects more clearly through a mixing desk. Prices can range from £300 second hand to £3000 new.
" Dec Cluskey was honoured as one the the top ten most influential people of the past forty years in the Music Industry by Marshall Amplification. He was presented with a gold plated Marshall Stack" - Could he help your music career? Drum machines are small little boxes full of different drum sounds that you can program to make rhythms with when you are recording. Although originally they were seen as a replacement to using a proper drummer (much to the Musician Union's dismay who actually tried to ban them) they could never really impersonate the sound of live drums and were at their best when made to sound like something totally different. The increasing popularisation of samplers has meant that the machines are less relevant today and are often used purely to create and trigger patterns from other modules. A good example of this is cutting edge drum'n'bass act Squarepusher who does all his astounding drum programming on only his Boss DrRhythm DR-660, using it to act as a sequencer to his Akai S950 sampler. His record deal came from such a simple idea. Drum machines can often be picked up very cheap on the second hand market, although certain influential machines with a distinctive sound such as a Roland 808 or 909 (used throughout the rave/acid house boom) can fetch high prices. Expect to spend about £50-£300. Because it was one of the first computers with a built in MIDI port the Atari ST became the industry standard for sequencing, running packages like Cubase and Creator, and is still favoured by many musicians and studios despite the introduction of much more powerful and up-to date software for systems like the Mac and PC. "A lot of people do still swear by the Atari," explains Paul White, editor of music production magazine Sound On Sound, "because the software that ran on it was fairly friendly, stable and memory efficient and it didn't take too much learning." Couldn't agree more .... my recordings using Atari have made fortunes. If you don't want to splash out on either a Mac or a PC then second hand Atari STs can be picked up for as little as £50 with sequencing software about the same price [usually included...but make sure you get a 'dongle' with it]. However if you already own a Mac/PC then see the next sequencing column. In the past two years or so computer sequencing software packages have suddenly become ridiculously powerful, so much so that a £350 software package can now do almost exactly the same as what £5000 hardware and software set-ups were doing twenty four months previously. With a reasonably powerful PC or Mac, software such as Cubase VST and Logic Audio now allows you record digital audio information straight to your hard disc, in the same way that you might record something to tape thus making superb recordings. This can then run in parallel with other sequenced MIDI data and be edited with just as much ease; audio can be cut, looped, quantized and re-positioned in a couple of mouse clicks. Previously sequencers dealt only with MIDI information but now, as they deal with sound as well, there are numerous extra features such as on-board effects and EQ (for changing the sound frequencies) that can be added to help polish the recordings, and without the need for additional external hardware in the recording process. It's as if you've got a sequencer, a mixing desk, a tape multitracker and a bunch of effects units all on one programme. Does getting a record deal look easier now? Once you've got past the hurdle of learning how to use it, you'll have an immense amount of freedom over your recordings with the advantages of both audio and MIDI combined. As systems such as these become more prevalent I really do think there's going to be a significant change in the future of home music production; bands who previously could only use MIDI fitted equipment in their music will now be able to experiment with all manner of 'live' instruments in their recordings and vice versa resulting in a far greater range of recording possibilities for the home producer. Yep - a record deal does look incredibly possible? Upgrading is well accounted for as well; you can add extra software plug-ins that will give you different effects units, noise reducers and compressors as easily as you would install a new programme. Your recordings will suddenly become so polished. Dec: Be careful when guys put PC in the same league as Macintosh for studio recording ... it definitely is not! Professional studios DO NOT use PC. Mac is infinitely more powerful and vastly more reliable and accurate. Much the same as the graphics industry use Mac and NEVER use PC, so the Pro side of the recording music industry exclusively use Mac...despite what the adverts in the magazines say! It's probably advisable to go for either of the big two because you're going to have to invest a lot of time to fully understand how your software works before you get your record deal and as well as offering cheaper entry-level versions both are likely to be around and continually upgraded for a long long time to come. [The current standards for PC are Nuendo, Reason, Cakewalk, Cubase SX3 and the Industry Standard for Mac are Logic 7 and Pro Tools 6.9]. Members of The Serious Writers Guild [ www.makehits.com] can talk to me on my personal private phone in my studio to discuss the best choice for them. My pathetic incompetence in recording for the first time with my computer of the time (an Amiga) meant that I was a bit scared of entering the wonderful world of MIDI so I instead bought a four track tape machine (often called a portastudio) because they were really straightforward to use. Operating just like normal tape players these machines allow you to record four separate tracks onto a standard everyday cassette so that you can create multi-layered, overdubbed recordings with absolutely no technical skills whatsoever. However this isn't the most common or simplest route to take and you also have the added inconvenience of tape hiss; using a four track, unless it is in tandem with a sequencer, requires a lot more patience and is generally best used if what you are doing can't be done through MIDI (like rock music) or if your music requires a lot of overdubs from live instruments. And most modern recordings do. If you can persevere though the end results are often well worth it as you can create works a lot deeper or with far more variation than you would using just a sequencer. 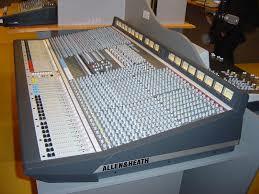 Also most models, with their numerous inputs, usually double up as a primitive but useful recording studio mixing desk, excellent for people just starting out. Because of the introduction of digital portastudios prices are falling constantly and you should be pick up a good model for around £300 new. Features are generally the same but higher-up models usually have a small built in mixer as well. Fostex, Tascam and Yamaha are the most popular brands. The recent introduction of digital portastudios like the Tascam 564 MiniDisc Multitracker and the Roland VS-880 hard disc recorder has caused a significant breakthrough in home music production. Essentially they're similar to the analogue portastudios, except this time there's not only crystal-clear digital sound (meaning you can in theory do infinite overdubs without any loss of quality) but there are also better editing facilities, particularly on the hard disc models which also have eight track recording as opposed to only four tracks on MiniDisc machines. If you don't already own a powerful computer or are going to do a lot of recording in different set-ups or with live instruments then a digital portastudio is definitely a good investment if you have a record deal in your sights. If you can afford it I'd try and get a hard disc based system due to the better editing and recording facilities. These normally cost a couple of hundred pounds more than the MiniDisc models which come in around £800-£1000 but are probably worth it. Effects boxes are one of the key ingredients to replicating the sound you'd get from a professional recording studio. They work by slightly altering any sound you create, giving it more depth, strength or power depending on what type of effect you are using. If you are serious about a record deal you simply have to learn about this stuff .... check out www.makehits.com for the best available knowledge through 'How To Make A $Million From your Music" ... learn your recording techniques from the best ... you CAN get a record deal. A reverb for example can add depth and echo to your piece, as if the music was recorded in a church hall, while phasing and flanging effects can make the music go all 'swirly' like it had been put through a washing machine. Delays can create repeats and echoes-echoes-echoes for that stuck-in-a-well kind of sound while pitch shifters and harmonizers allow you to re-tune anything from instruments and vocals to your own tape recordings. Prices in this area are falling quicker than most; about fifteen years ago a digital reverb box would have set you back at least £5000 but today you could probably pick up a better quality machine for just over £150. It's an investment well worth making as a good effects unit is an invaluable tool to giving your recordings that professional finish and lead you on the road to that elusive recording deal. Lexicon 960 .. how many £thousand? Zoom Studio ... less than £100. For those on a budget multi-effects boxes are often the best bet as they offer a wide range of options at a reasonable price. However, specialised units such as reverb-only boxes often give a better sound and are usually cheaper. Both will 'evolve' with your set-up extremely comfortably as they can be continually chain-linked to one another. Prices start from about £100 upwards. Mixing desks are big, big, things with loads of sliding faders that take up lots of space and let you plug in all your various bits of recording equipment and fiddle with their sounds. To start off with, unless you've got loads of different gear, they may not be that important. However once you get serious they're not only useful from a convenience point of view but they're also great for EQing and cleaning up your final sound, making recorded sounds sharper and cleaner. The type and size of desk you should buy depends solely on the kind of set-up you've got and how much gear you have or intend to have so I can't really offer much help there I'm afraid. An invaluable resource for any information on any type of music equipment are the massive pages found at the Hyperreal site at www.hyperreal.org/music/machines/ and at Future Music on www.futurenet/musiciansnet/. Copyright © 2003 The Serious Writers Guild. All rights reserved. Ask us a question re your music career? Recording Deal? Simply CLICK HERE Reply within 10 hours guaranteed.